A Steamed Kale Recipe That Raises Your Vibration! Ok, today I found myself giving my favorite kale recipe to one of my clients in a session. After doing this, I realized what an important recipe this is – as it makes one of the BEST green for you taste like one of the BEST green food, period. Even my 9-year old son and his friends fight each other for more when I make this kale for them! Heat 5 Tablespoons (or to taste) of sesame seeds in a dry pan (no oil needed) until they are lightly toasted. Set aside. De-stem the bunch of kale and rip it into pieces. Steam it for three and a half minutes. Let me know what you think!!! I ZING after eating this every time! 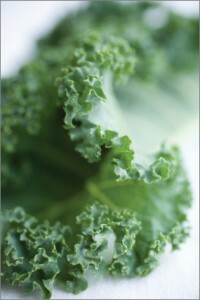 Kale grounds, clears and helps balances acidity-and this recipe takes less than 10 minutes to make! https://www.daniellemackinnon.com/wp-content/uploads/2011/02/kalefull.jpg 426 285 Danielle MacKinnon https://www.daniellemackinnon.com/wp-content/uploads/2018/10/DM-Editable-Logo-new.png Danielle MacKinnon2011-02-07 12:33:012018-01-02 18:16:52A Steamed Kale Recipe That Raises Your Vibration! I got the same recipe from my co-op years ago!! I also will use some reserved sauteed onion that I may have saved from something else. Thank you. This looks GREAT!!! I also do a quick job of collards or kale by rolling them up and cutting little strips (I think that’s called a Chiffonade). Then in non-stick pan and maybe a little olive oil fry up some garlic and maybe some fresh ginger…only a few minutes. Then put the pile of greens strips on top…fry only until wilted. Then at the very end put some hard/grated (from a bag) Parmesan cheese and let it melt a little. Cover the pan and shut off the heat so the cheese melts. VERY quick and healthy. I have tried kale several times in soup, and another recipe. It was always tough, & I thought thats just the way it is….. whatever was I doing wrong??? Love, love, love this recipe!!! I am not a great cook and I’m always looking for healthy and simple recipes. This one is a gem. Yummy and good for you on so many levels. it is so yummy- the kale takes on a deep potaoey/root taste that is like a healthy chip! Soul Contracts: What’s the Secret Code? Soul Connections at Omega with John Holland and More!